My 10 Best Spice-and-Jasmine Infused Memories of Kerala – Where is Shyamni? I walked into my favorite boutique last week and was fervently welcomed by the owner. She’s an elegant lady and her choice collections are the sole reason why I have ever managed to look good at some functions in the past. She was curious where I had disappeared off to. I always knew that she was from India but what I didn’t know was that she was from Kerala. When I told her I had just spent 3 weeks in South India, she was ecstatic! She sat me down wanted to know all about my travels. Imagine her joy when she gleefully told me that the home-stay where I stayed in Ernakulum was just down the street from where she went to high school! And just like that the world became a tiny bit smaller. Suddenly I was connected to Kerala again and the spicy, jasmine infused memories has been cascading me since then. So much so that I just have to write about my 10 top Kerala experiences. As a rule on my solo travels, I don’t drink alcohol at night. 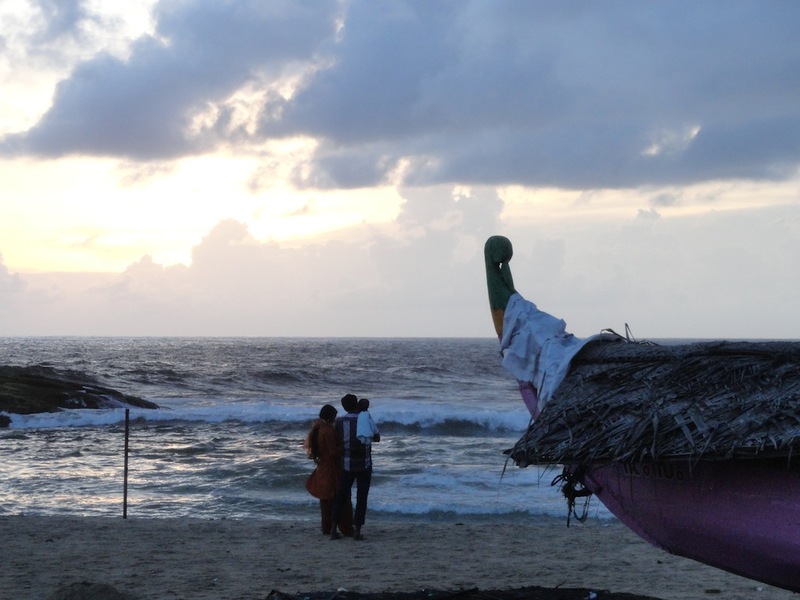 But with my hostel a 2-minute walk from the beachfront cafes and the hoards of tourists, I felt it was okay to let my guard down in Kovalam. Beer never tasted better! Best thing about riding the state KSRTC buses? A 2-hour bus ride (2 changes) costs you about 18 rupees on way. 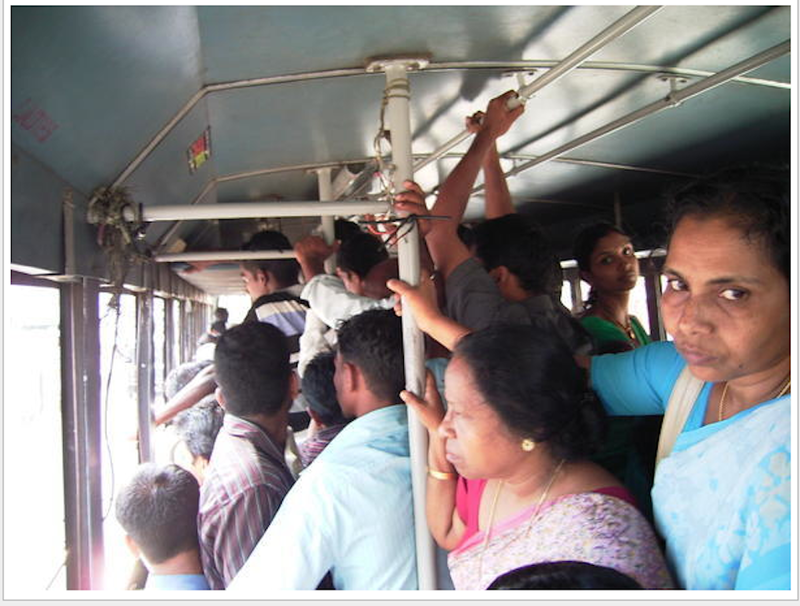 Worst thing about riding the state KSRTC buses? Having your face shoved in someone’s armpit for most part of the journey! I made the almost 2-hour journey with 3 exchanges from Ernakulum to visit the Hill Palace in Tripunithura. 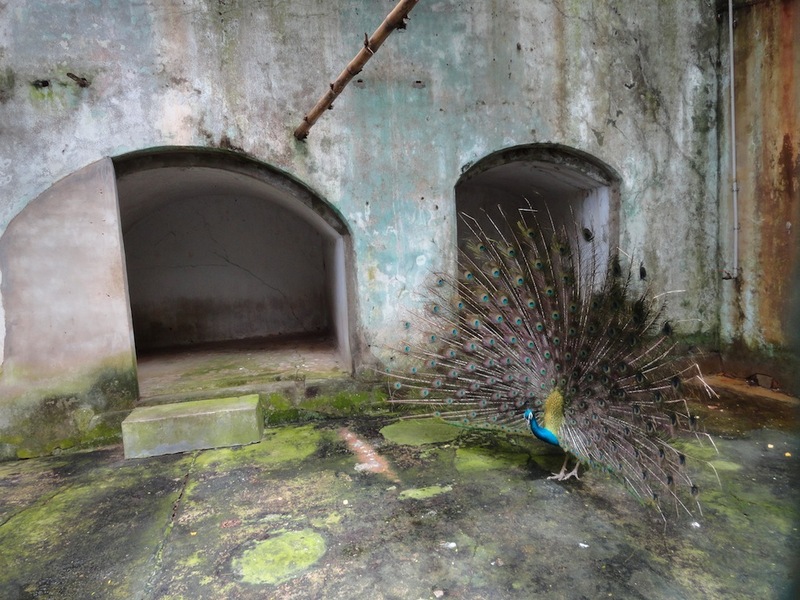 Watching a proud peacock dance in Trivandrum zoo. I had not known prior to visiting Kerala about the Jewish influence on the Malabar coast. Actually I didn’t even know about the Dutch and the Portuguese either! So discovering Mattancherry’s history was like being handed a present with many layers of wrapping. 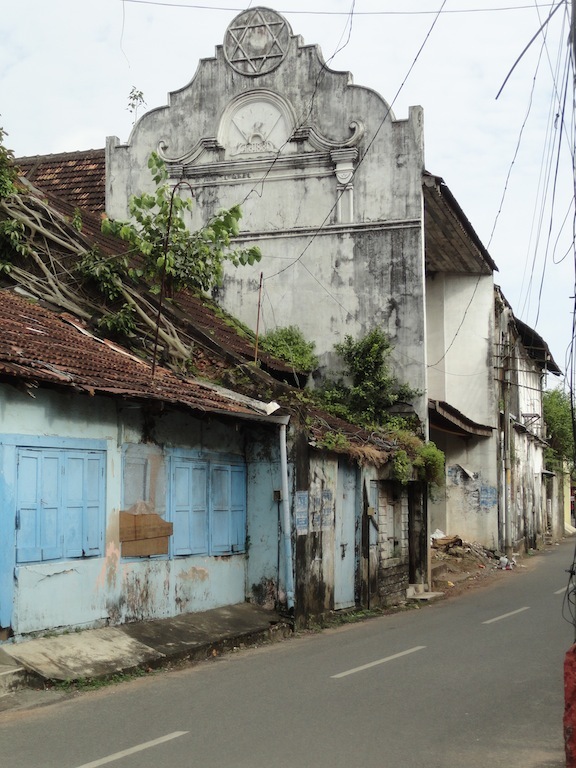 And I took my time in slowly unwrapping, exploring Mattancherry and its surroundings like the Paradesi Synagogue in Jew Town, the Dutch Palace and the Indo-Portugese Mueseum. 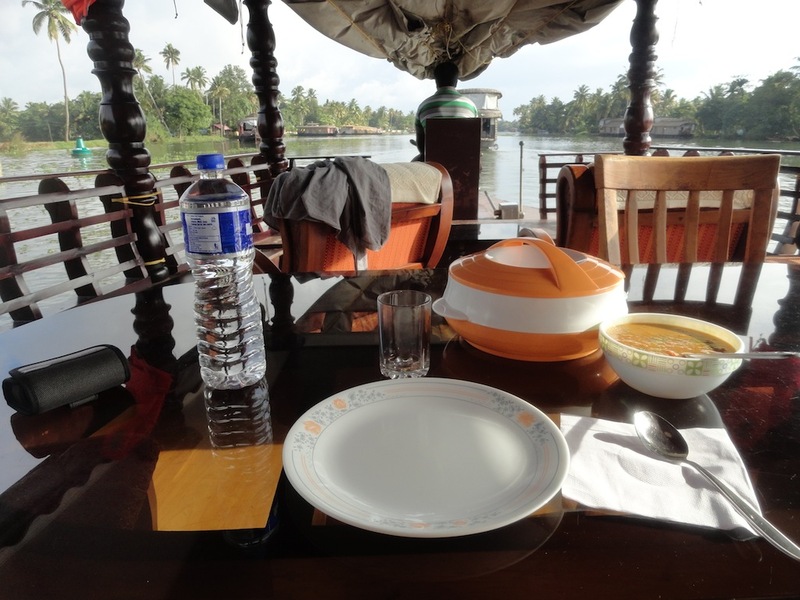 Kerala breakfast on my personal boat! Kathakali is a traditional dance form in South India. The vibrant costumes is a large part of the act. Watching the artists get ready for the dance was far more fascinating for me than the actual performance! 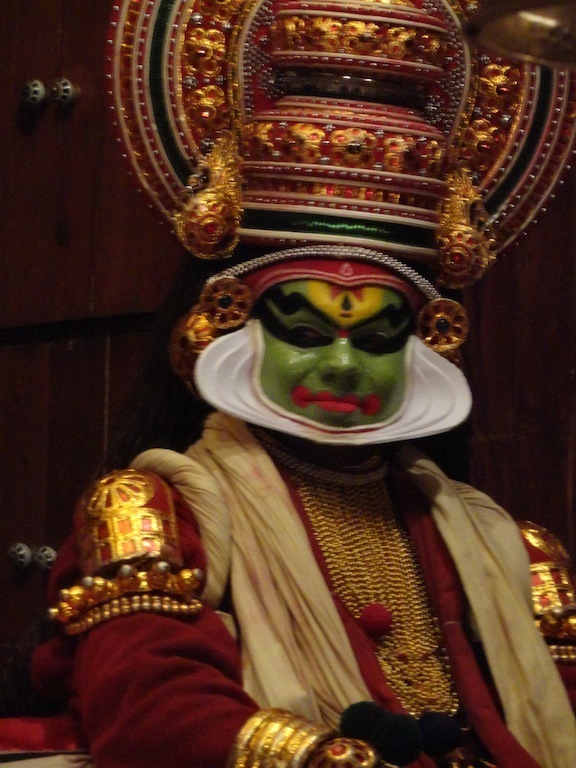 Kathakali makeup – The finished product! 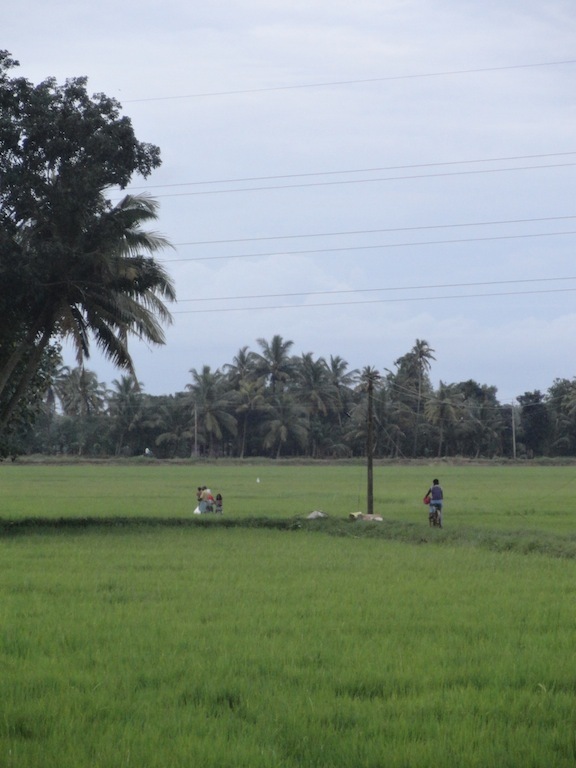 “…During the last few decades people entering agriculture as an occupation in rural Kerala has reduced drastically. 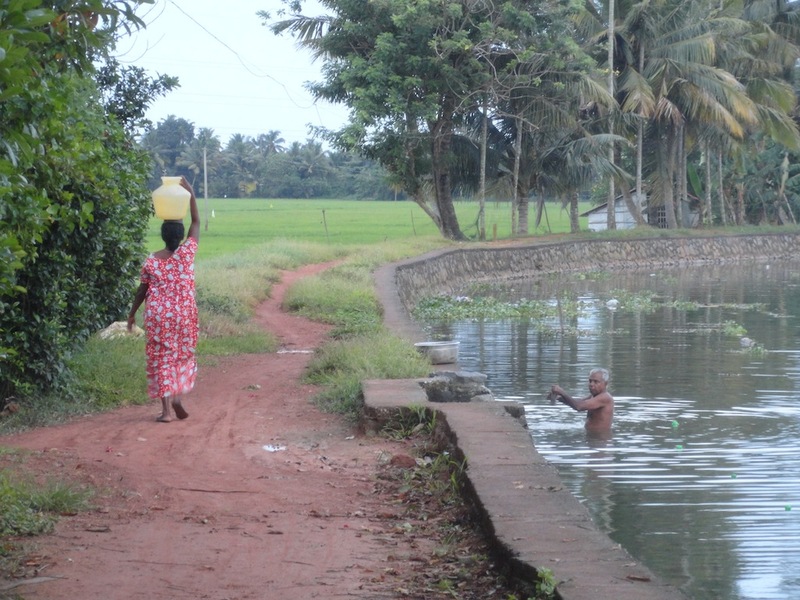 Only around 26% of the total rural population in the state now goes for agriculture as a line of work…” – The Shrinking Rice Paddies of Kerala. Village in Kerala. Man typing fishing nets in the evening for morning catch! 8. 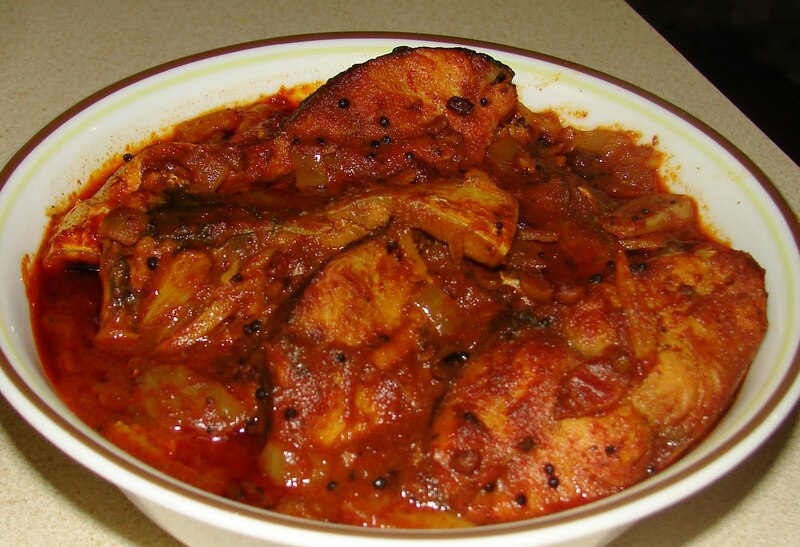 Overdosing on Fish Curries! 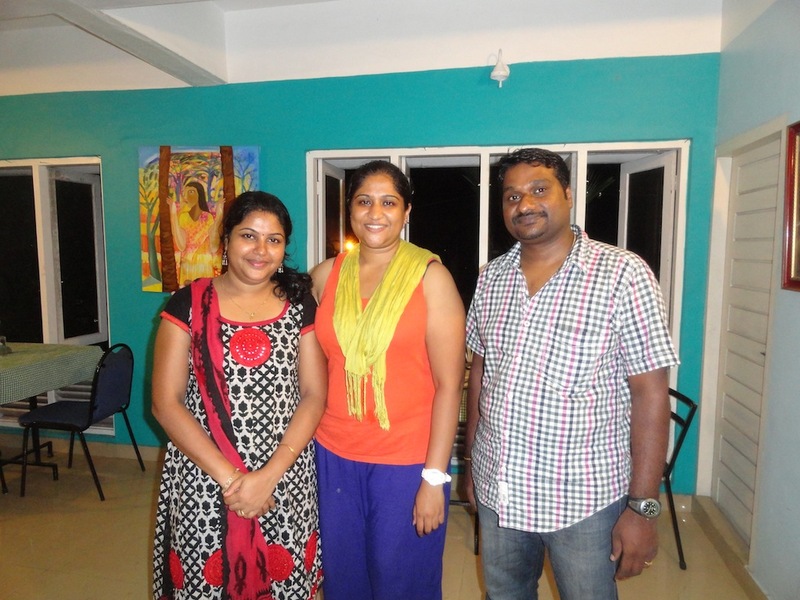 Chef (Dipu) and owners of Casa Linda eatery in Kochi. I ate here every single night for a week. Nothing classier than a woman clad in a sari and the women of Kerala have tailored this to a T. I was envious to see professional women smart rocking their Kerela saris with jasmine strands in their hair. My biggest regret is not bringing one back for myself. On the other hand, 75% of petrol pump attendants in Kerala are women! A rare sight in North India. My rickshaw-wala and lady at the petrol pump sharing local gossip! 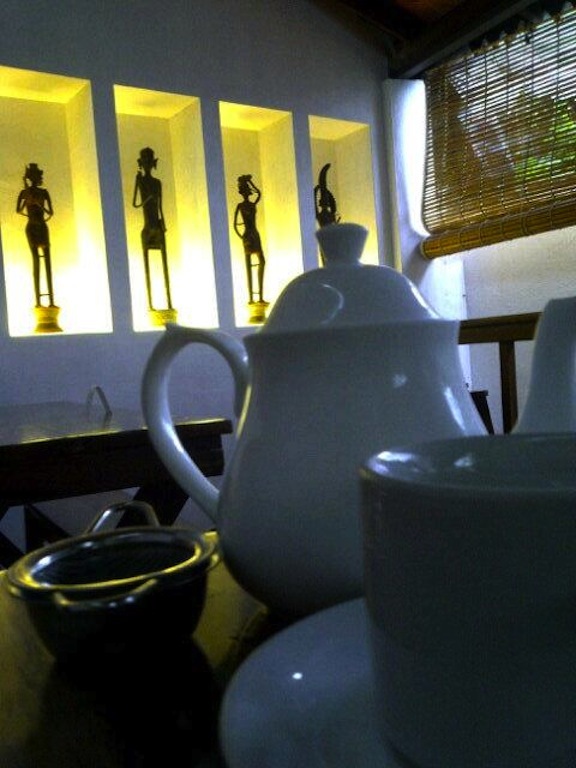 I spent hours chilling out in small tucked away cafes in Fort Kochi. It was off-tourist season and Fort Kochi was a joy to be around. It was just before peak season so everything was in top form minus the crowds. The place has a great vibe to it with lots of trinket shops art galleries, cultural performance centers and historical sites. My intended 2-night stay easily extended into a week long one! Bliss. 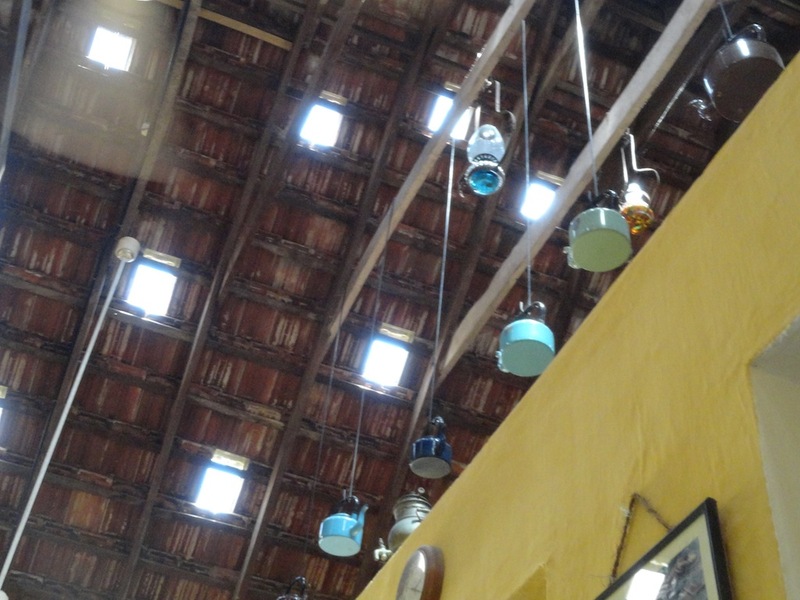 Kashi Art Cafe, Fort Kochi. Best teas and coffees! The delightful decor at The Teapot cafe.